Gov. Doug Ducey vetoed a bill Monday that would have allowed police departments to withhold the names of law enforcement officers for up to 60 days after the use of deadly force. Ducey’s veto letter said Arizona’s public records law already gives departments the ability to withhold names even longer than 60 days if a threat to an officer outweighs the public’s right to know. 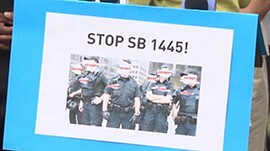 It also said SB 1445, authored by Sen. Steve Smith, R-Maricopa, contained “ambiguities” that went beyond the stated goal of protecting officers and their families. Under the proposed law, Ducey’s letter said, police chiefs would be unable to set the record straight. “The result could be the exact opposite of what this bill aims to do, escalating – rather than de-escalating – the situation and potentially putting completely innocent officers’ reputations and safety on the line,” the letter said. Supporters, including the Phoenix Law Enforcement Association, said the change would provide police officers and the public with a cooling-off period. The ACLU of Arizona and Maricopa County NAACP were among organizations that urged a veto, arguing that withholding officers’ names would interfere with the public’s right to know and unnecessarily fuel public anger at and distrust of police. They also said there hasn’t been an instance of violence toward an Arizona peace officer who has used deadly force. There was no answer late Monday afternoon at the offices of Smith, PLEA, the ACLU of Arizona or the NAACP of Maricopa County. Leaving the Executive Tower on Monday, civil rights leaders opposed to the bill said they met Monday with the governor’s staff. 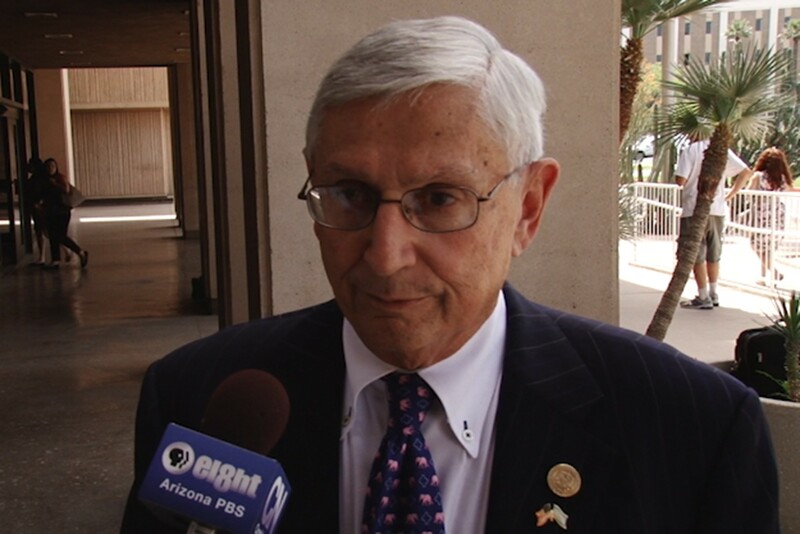 “When we start curtailing the truth and the flow of information from governmental agencies to the public, we the individuals suffer the greatest because we are eroding our freedom of speech and freedom to be informed,” said Donald Harris, president of the NAACP of Maricopa County. Activist Muwwakkil Abdul-Qawwee said he has participated in every protest in Phoenix over police shootings and that there has never been violence. “What the legislation does instead is that it introduces this air of secrecy which will only then serve to enrage the people,” Abdul-Qawwee said. Activists said they met with Gov. Doug Ducey's staff as he faced a deadline to decide the fate of a bill to keep the names of officers involved in the use of deadly force secret for 60 days. Donald Harris, president of the NAACP of Maricopa County, said he and others met Monday with members of Gov. Doug Ducey’s staff to register their objections to a bill that would have kept police officers’ names secret for 60 days after the use of deadly force. Ducey vetoed the bill later in the day.